Now that it’s September, it’s already starting to cool down a little here in the Northwest. Granted it never gets all that hot to begin with, but it still has me excited for fall. I’ve been wanting to change up this wall of Ikea mirrors anyway and moving into a new season is the perfect time. 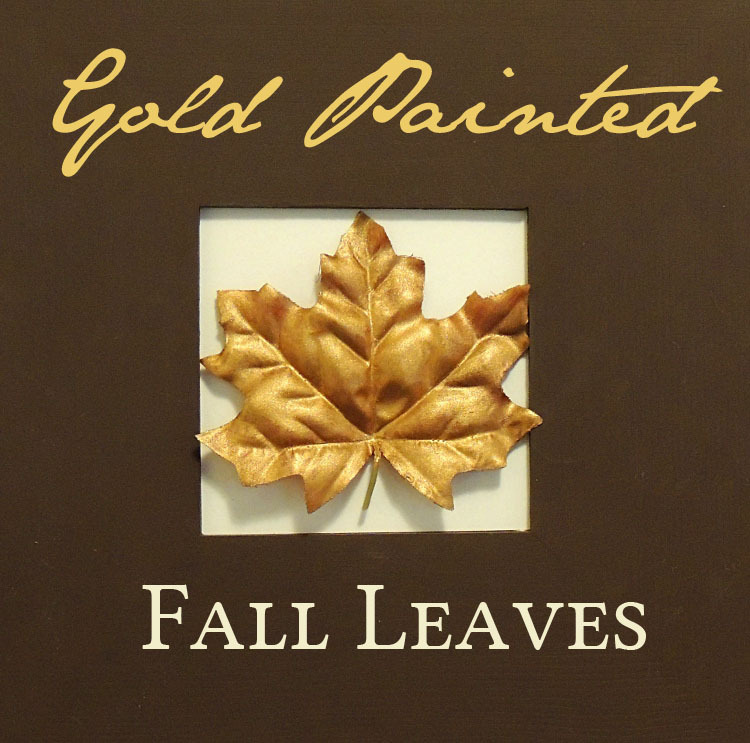 I snipped a few fake leaves off of a garland and painted them each with gold paint. Next I cut a square of cream colored cardstock to fit in each mirror and attached a leaf with glue dots. 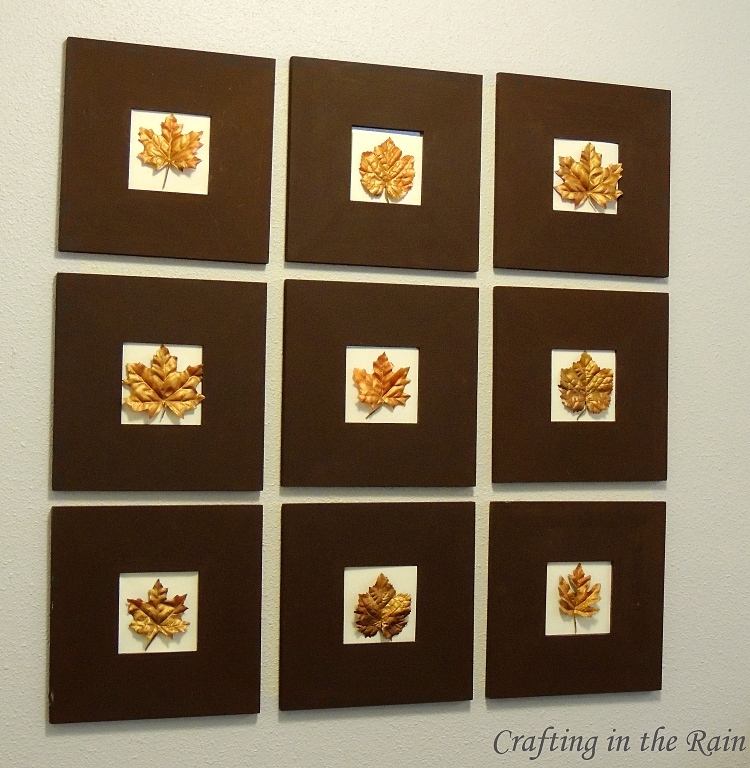 And here’s my new display of gilded leaves. Gold paint is a super fast and easy way to add some popular gold tones to dress up a fall wreath, centerpiece or mantel. I hope you’ll try it!